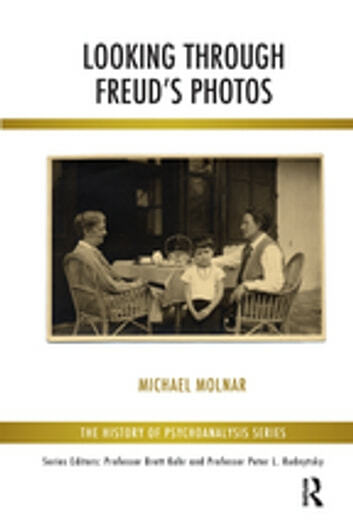 A moody Freud posed against a background of holiday pictures pinned to a wall; or lurking at the very edge of a large family group; or lost in a crowd of nineteenth-century scientists. These snapshots or posed portraits not only tell stories, they also carry a specific emotional charge. The earlier essays in this book follow traces of Freud's early years through the evidence of such album photographs; the later essays use them to reconstruct the stories of various family members. An unknown photo of his half-brother Emanuel initiates an investigation into the Manchester Freuds. An identity photo of his daughter Anna, and the document to which it is attached, throw light on the critical final days of her trip to England in 1914. A faded idyllic print of children playing evolves into a discussion of Ernst Freud's luck and childhood. The suicide of Anna's artist cousin, Tom Seidmann Freud, emerges from a snap of her infant daughter Angela.